As a mitigating tool in the circumstances when the Supreme Court is yet to decide the vires of National Judicial Appointment Commission (NJAC), the Modi government has given three months tenure extension to the incumbent Additional High Court judges. 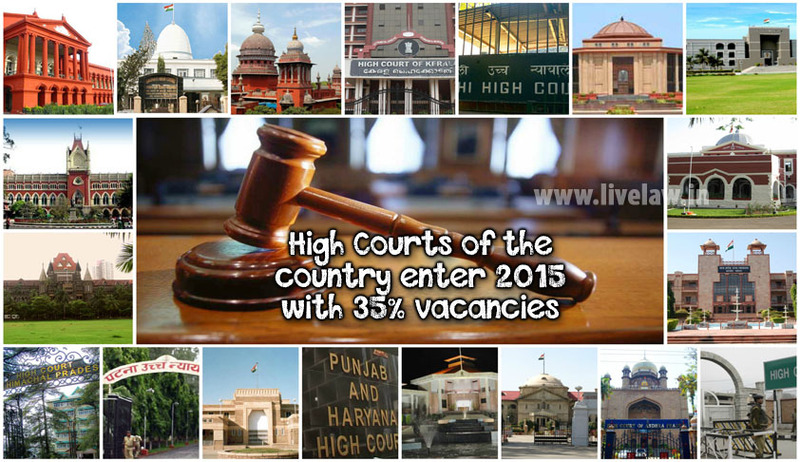 The judges, whose terms are nearing completionis giving incumbent additional high court judges a three-month extension to address the massive case pendency and large-scale judicial vacancies.is giving incumbent additional high court judges a three-month extension to address the massive case pendency and large-scale judicial va is given extension to look into the massive case pendency. This move is in divergence from the ordinary course in which an Additional High Court judge is appointed on a two year contract. Based on their conduct and discharge of responsibilities, they are either elevated as permanent High Court Judge or are released from judicial service. It is noteworthy that the Supreme Court had allowed the interim measure in its last hearing on the NJAC issue. Then, the government had submitted that the NJAC impasse is creating a vacuum resulting in a crisis on account of huge number of cases pendency. The NJAC logjam has resulted in four High Courts not having permanent Chief Justices. However, the vacation bench of the apex court will hear the arguments in support of NJAC on June 8. Meanwhile, the Ministry of law is busy clearing the appointments of incumbent Additional High Court judges whose tenures are coming to an end. The dire straits for High Courts is likely to aggravate in the near future as there are already large number of vacancies in High Courts which is the main cause for backlog of cases in the country. The High Courts in the country are presently working with an efficiency of 64 % which is an alarming figure in itself. Read the LiveLaw coverage on judicial vacancies here.